I love Old Navy clothing and have shopped the store long before they first came to Canada! Their kid and baby clothes are "cheap and cheerful": a combination of affordability and adorability! With 5 kids, 7 years and under, I have dressed my kids from Old Navy since they were babies. I remember shopping Old Navy for outfits before our first child was born, and stocked up from sizes 0-3 months to 18-24 months! I can say that a few of my son's Old Navy hoodies and jeans have survived through all 5 children (loaned items to my cousin too), and the clothing is still quite viable! So, I do like the quality and durability of Old Navy clothing. I especially like that most of their kids’ clothes are 100% cotton, and very breathable. In this spirit, I am excited about the Old Navy Kids and Baby Sale which runs from Thursday February 7th, until Wednesday February 20th! What is particularly special about the sale, is that ALL kids and baby clothing for boys and girls is 40% off! This is AMAZING! I plan to go early on the first day of the sale to get my choice of styles and sizes! It is a great opportunity to stock up on clothing for the kids! Look for my next Old Navy Canada post that will show my shopping haul from the sale! 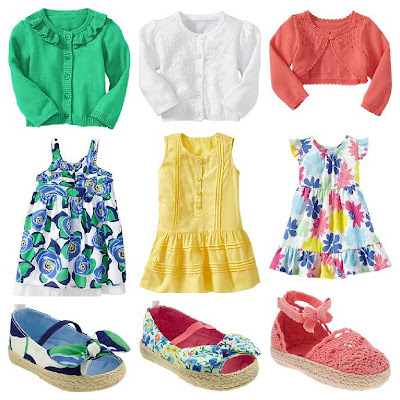 Every year I really notice the Old Navy Easter dresses, matching shoes and sweaters. To me, seeing these outfits in the store signals the end of our long Canadian winter--and gives hope that Spring is just around the corner. Although I only have one daughter and four sons, it's the beautiful dresses and shoes that I notice the most! And be sure to participate in the Old Navy Pin to Win Sweepstakes (CAN/USA). Entering is super easy! Pin one or both Old Navy outfits featured in my blog post (each pin earns you one entry at the daily prize and one entry at the grand prize! ), enter your e-mail and pin on Pinterest for a chance to win daily prizes of $50 Old Navy gift cards and a final grand prize of $1,000 for one lucky winner! You can receive up to 5 DAILY entries! How great is that? Good luck and happy pinning! Rules and regulations. Contest runs until February 20th @ 11:59pm EST. Want More Entries? Find 6 more entry ballots in my post about my Old Navy shopping haul, here! Good luck! NOTE: If entry boxes are not showing up for contest, try Chrome or FireFox. Entry form does not appear in Internet Explorer. Are you going to shop the Old Navy Kids and Baby Sale? Do you plan to participate in the Old Navy's Pinterest contest? I'd love to hear your comments below! Awesome thanks! You can pin 5 images DAILY! I love the little yellow dress. They only have it in up to 24 month size though. I need a 4 T for my daughter. Nicothe pickle, they do have cute dresses for a 4T girl too! I entered, and yes I plan to shop too. This is the perfect time to stock up on baby items for baby showers I know are coming up in a few months. Great thinking, Mimi! You can pin 5 images DAILY for more chances! hope I did this right. Hello.. I just subscirbed by email.. Thank you! If you filled out your e-mail address & pinned the image, then yes you did it right! You can pin up to 5 images DAILY, until the 20th of February. Thanks Vonnie! You can pin up to 5 images DAILY, so good luck! Thanks Layla! You can pin 5 images DAILY, so best of luck! Thanks christel! Pin up to 5 images DAILY for more chances at the $1000 gift card! Old navy definitely has some cute choices! I purchased Canada Day tee's there this past year for my family. mamawee, I love Old Navy! The clothes are fun, colorful and reasonably priced--especially with the 40% off sale! Emma, the outfits are adorable! 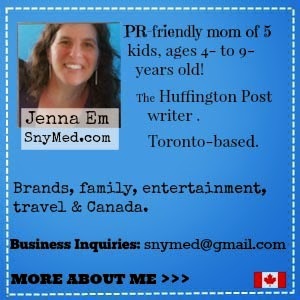 You can pin up to 5 images DAILY, so feel free to pin my 2nd photo too! http://pinterest.com/pin/219057969347303432/ That's my pin for such a great contest! Thanks Jazzy6178! You can pick both images from my blog DAILY, and up to 5 pins per day! Thanks Cindy! You can pin both images from my website for 2 DAILY entries! MrsPirate, thanks for the question. If you are in Chrome or Firefox, there is an entry box that will appear below the photos. You entry your e-mail into the box and it will help you pin your entry to Pinterest. If you are not seeing the entry box, please note that it won't show in IE. Is this where we're supposed to be listing our e-mail address or somewhere else? I didn't go to the sale, but I am participating in the pin to win contest!!! Julia, thanks for asking! You need to be in CHROME of FIREFOX for the entry form to show up, it does not appear in Internet Explorer. If you are in one of those browsers, there will be an entry form that appears beneath each pinnable entry. It will accept your e-mail address and is an app to help you pin to Pinterest. Ah, thank you! I think I was doing it right all along. I use chrome. I just wasn't thinking it looked like an entry form, because it only is for your email - no phone number, name, address, etc. But I guess I must be doing it right. Thanks again for the help! And the contest! PS - I just want to say again that I so didn't mean to be rude! My inability to understand the contest probably has more to do with my lack of computer skills than anything! :-) But do please let me know if I have to do anything other than pin it. Thank you so much! As long as you're filling out the e-mail entry form below the photo & allowing the app to help you pin on Pinterest, then you are doing it correctly. 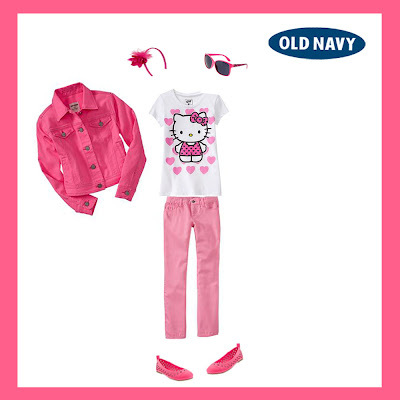 I entered the contest thank you, I wish we had Old Navy Closer 2 hrs drive from where I live, love to shop there. I amnot a big fan of old navy everything Ive e ver bought there has shrunk in the wash, and I mean major shrunk! FREE Disney Junior Channel Preview & CONTEST! Wreck-It Ralph Coming to Blu-Ray & Review! Is Your Child Acting Destructively? Our Snowday & Crazy Snow Video! Snow & Childhood Winter Memories! 10 Lessons James Bond Films Taught Me! I found ELVIS at the Side of the Road! Easy Lentil Soup Recipe with Linky!